A spunky young widow hires a farmhand with a bad reputation to help her get her cotton to Jefferson to meet the wagon train, and sparks fly—but can she love a man who doesn’t love the Lord? 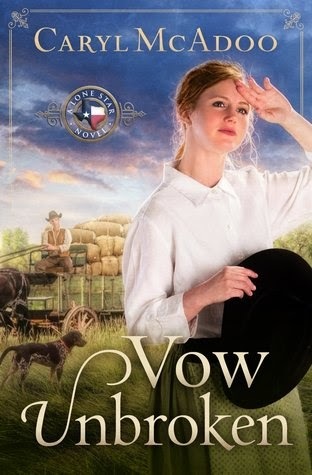 Susannah Abbot Baylor reluctantly hires Henry Buckmeyer to help her along the Jefferson Trace, the hard stretch of land between her Texas farm and the cotton market, where she is determined to get a fair price for her crop. It’s been a rough year, and she’s in danger of losing the land her husband left to her and the children, but she’ll need help getting both of her wagons to Jefferson safely. She knows Henry’s reputation as a layabout and is prepared for his insolence, but she is not expecting his irresistible good looks or his gentle manner. Soon they are entwined in a romantic relationship that only gets more complicated when Susannah learns that Henry doesn’t know God the way she does. Dangers arise on the road—but none as difficult as the trial her heart is going through. Will Susannah and Henry’s love overcome their differences? And will she get her crop safely to the cotton market with enough money to save the farm? In this heartening and adventurous tale, a young woman’s fortitude, faith, and heart are put to the ultimate test. I thought I would enjoy this book more than I did. The premise sounded interesting- two strong characters on an adventure... but something was off for me. I didn't care for the writing style- it didn't give me a good visual in my head of the setting, and there were long passages of dialogue interchange where I would lose track of who was saying what. The main character Susannah was prickly and judgemental of Henry, even after her prejudices and first impressions were proven false. Her thoughts often contradicted with her words and actions, which gave a hypocritical vibe, like when she was griping about taking a rest and meal at the home of a family Henry knew, but even after befriending the wife, she didn't admit that it was a positive choice. I guess her prideful personality just rubbed me the wrong way.